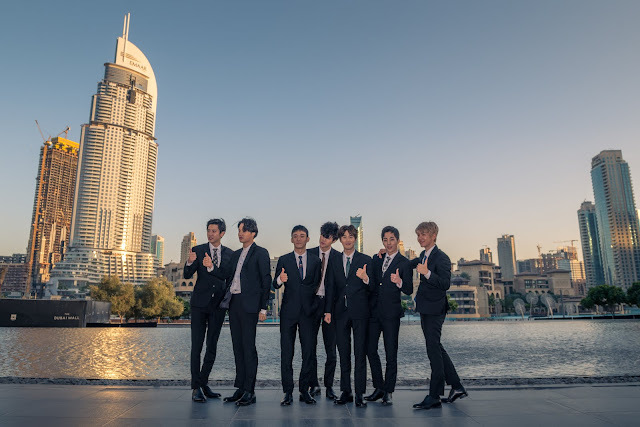 The Dubai Fountain, the tallest and largest choreographed fountain in the world in Emaar’s Downtown Dubai, premiered its first K-Pop song on 16 January. The hit song ‘Power’ from Korean supergroup EXO was introduced to audiences as part of a spectacular dancing performance at 5:30pm. K-Pop boyband EXO made its debut in 2012 and has enjoyed phenomenal success both in Korea and across the region ever since. The song ‘Power’ is EXO’s newest hit; it was released in September 2017 to great success and has topped the charts in various K-Pop markets. ‘Power’ will now stay in the rotation, as the first K-Pop song to ever be included as part of The Dubai Fountain’s world-renowned repertoire. The band members of EXO were present at The Dubai Fountain on 16 January to witness the inaugural performance of ‘Power’. 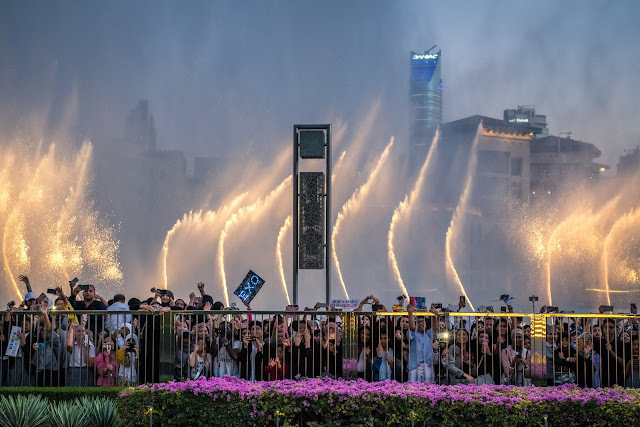 Widely recognised as one of the most impressive musical fountains of the world, artistically interwoven with music, lasers and light, The Dubai Fountain is one of the world’s ‘must-see’ attractions. It has a rich, dynamic collection of performances encompassing many musical traditions, each one being uniquely expressive in its interpretation. With its vibrant musical and visual experience set on the 23.81-acre Burj Lake within Downtown Dubai (equivalent to that of 18 football fields), The Dubai Fountain can reach a height of 140 metres (450 ft.) and is equipped with powerful nozzles capable of shooting water higher than a 45-storey building. The beam of light shining upward from the fountain can be seen from more than 30 kilometres away. Different combinations of water-forms created by 6,000 WET Superlights and 25 colour projectors perform to selected musical pieces – chosen from a range of classical to contemporary Arabic and world music.